First cut a 6" x 9" piece of Stampin' Up! Melon Mambo card stock and fold it in half for the base, a 4 1/4" x 5 3/4" piece of Stampin' Up! Pink Pirouette for the middle layer, a 4" x 5 1/2" piece of white for the front layer, a 3 1/2" x 3 1/2" piece of Melon Mambo for the image first layer, a 3 1/4" x 3 1/4" piece of Pink Pirouette for the image middle layer, and a 3" x 3" piece of white for the image. 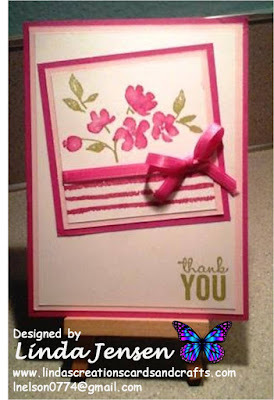 Then stamp thank you on the front layer in Stampin' Up! Pear Pizzazz ink and set it aside. Next using a stamp positioner (can't live w/out my Stamp a ma jig lol! 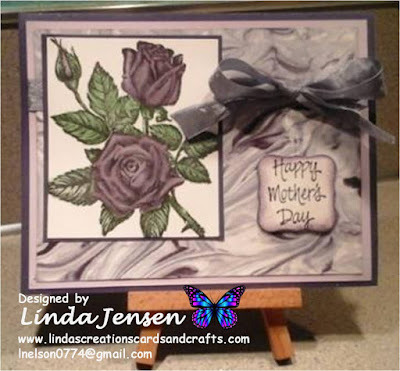 ), stamp the leaves in Pear Pizzazz ink on the 3" x 3" piece of white card stock then the flowers in Melon Mambo ink. 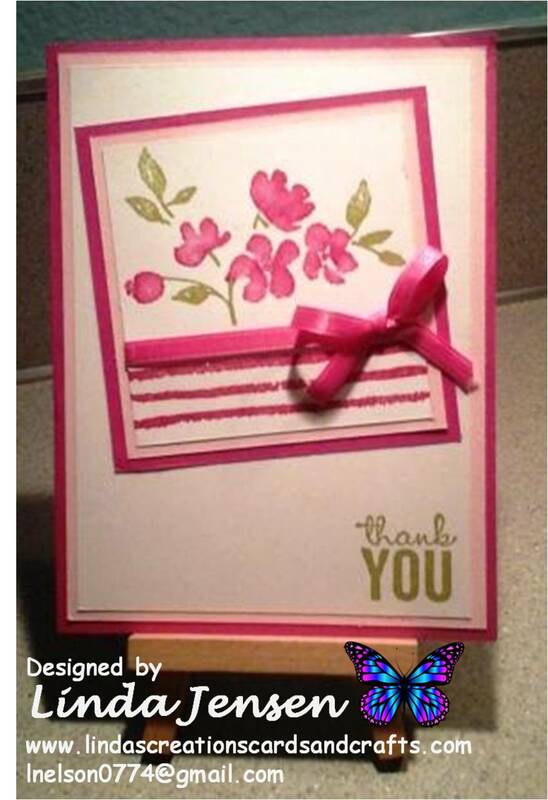 Next using a stamp positioner, stamp the lines beneath the flowers in Melon Mambo ink then add the pink ribbon, assemble the card an enjoy!